My day job is a full-time professional family photographer and most of the families I photograph have at least one toddler, so photographing toddlers is something I’m a bit of an expert on. 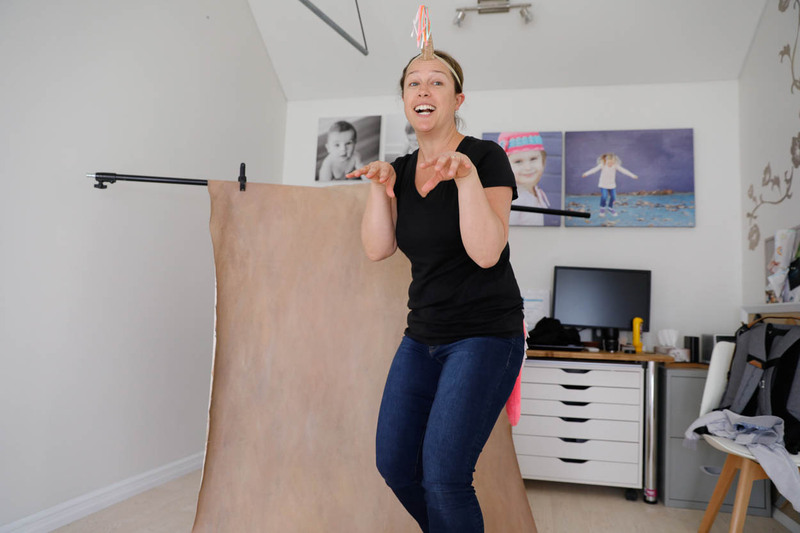 Just the idea of toddler photography can make some people break out in a cold sweat! 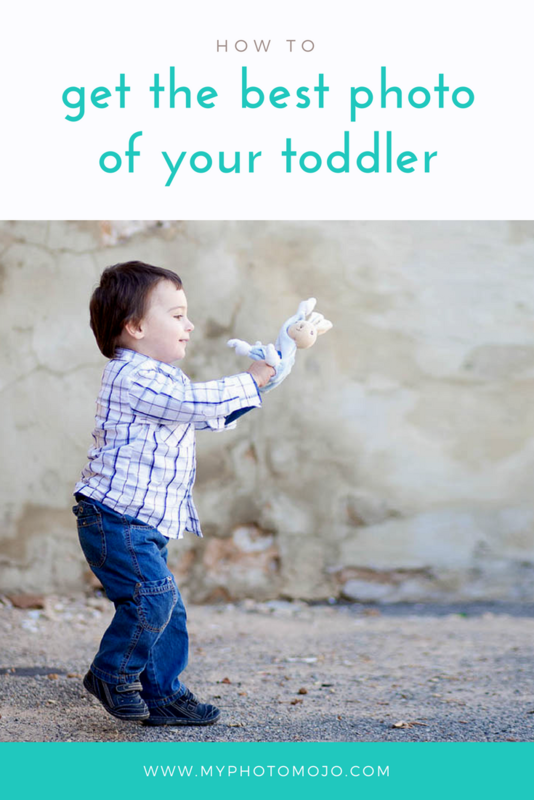 Figuring out how to photograph toddlers with out losing your cool is the key! Photographs of toddlers are among some of the sweetest, funniest, cutest and memorable of family photos, they have no filter, zero, so almost every capture is authentic and full of raw emotion. Taming that emotion so we get more of the sweet and less of the cray cray, the back of heads, frowns, tears or stomping of feet, that’s our aim. 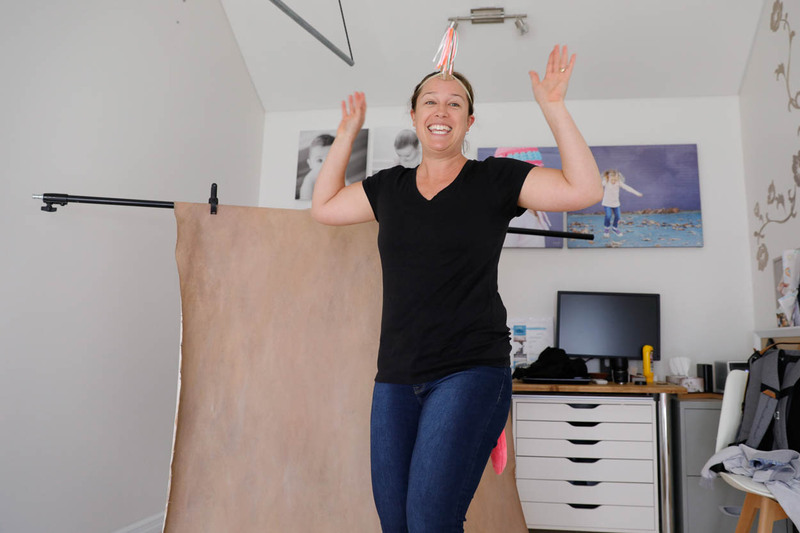 Even I find myself laughing at the lengths I will go to, to capture real smiles, to engage my subjects and to attempt to gain at times what feels like just a scrap of cooperation. 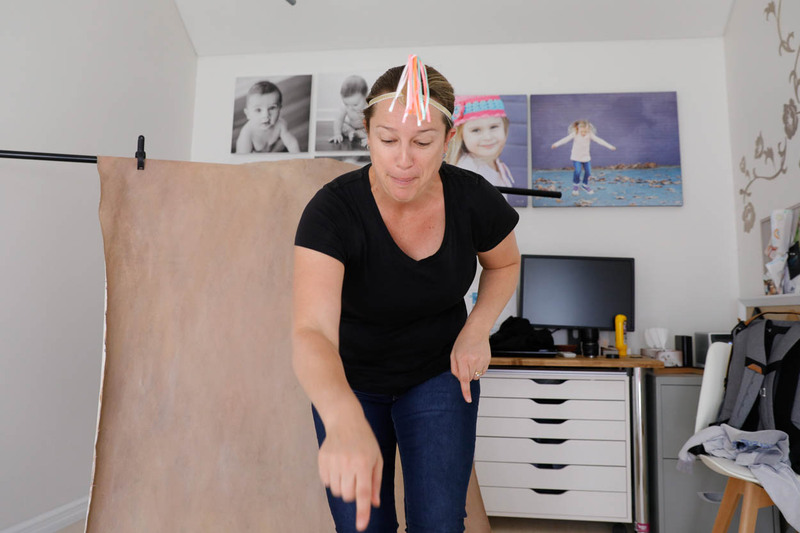 Even I find myself laughing at the lengths I will go to when photographing toddlers to capture real smiles, to engage them and to attempt to gain just a scrap of cooperation! But really, we should be surprised that toddlers ever co-operate for photos at all! I mean let’s think about a portrait session it from their point of view? Your parents have likely put you in clothes you don’t love. They might be scratchy or not as bendy as you’re used to. There’s a very good chance your hair has been brushed, like a thousand times that morning. You’ve been told all week that you have to be “good” and do what the nice lady says. You drive to a place you’ve never been before, and it might even be a park where you’re expected to walk past the playground!! I mean really just walk past!! You’re expected to walk past a playground!! You meet this new person for the first time who suddenly acts like your BFF, yet she’s rather demanding, wanting to you stand here, run there, hug this person, kiss that person, look this way, put your tongue in your mouth, not pick your nose and smile naturally! And – when you actually manage to do all this, they stick a big noisy black box over their face instead of just smiling back! 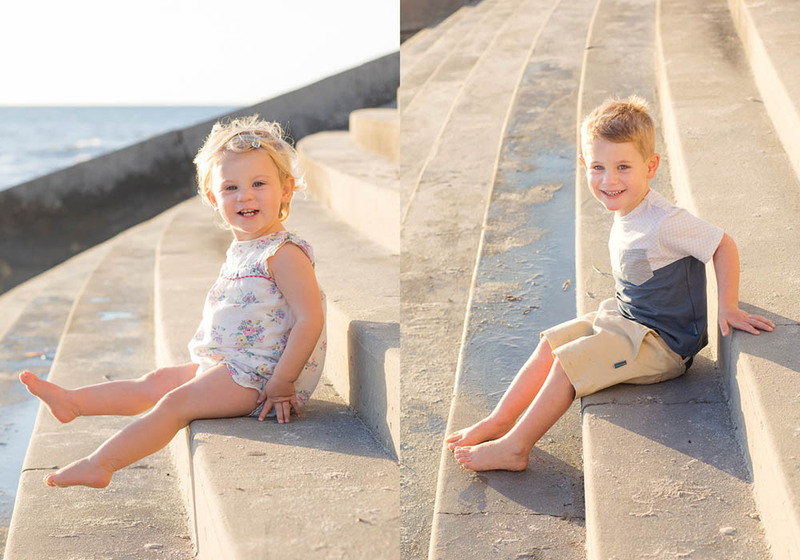 Yet – session after session, time after time, I still manage to capture gorgeous natural images, real smiles and adorable moments from these little cuties. How? 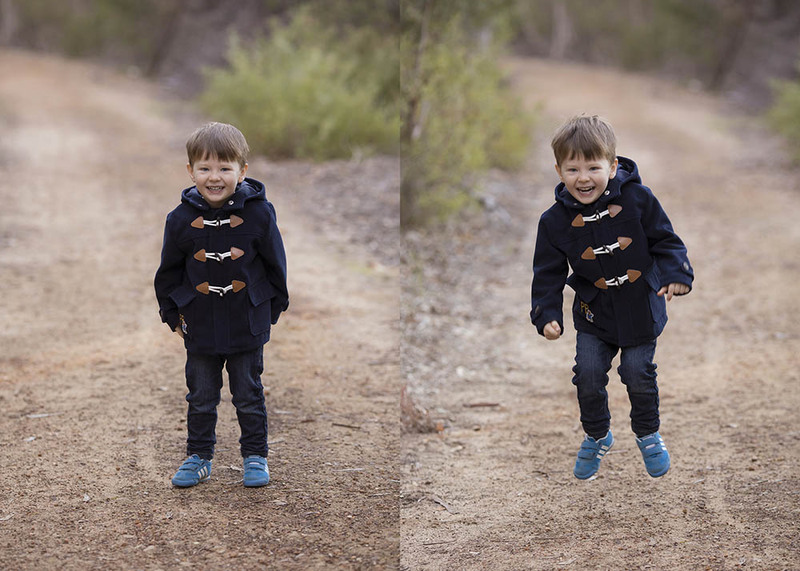 What’s the magic secret to photographing kids? Let me let you in on my . . .
Leave your inhibitions behind and be silly. If you want to photograph a natural smile from a toddler, then you have to make them laugh. End of story. Some of the classics are being an animal, playing peekaboo, clucking like a chicken, you get the picture. The great thing about toddlers is they don’t get bored, so once you hit the sweet spot and crack a giggle, they’ll likely keep right on laughing! Is there any length I won’t go to when photographing toddlers?? 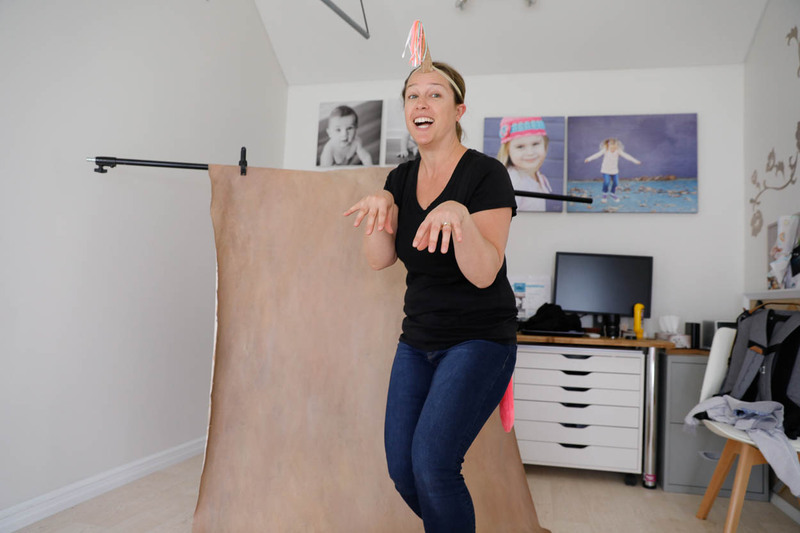 Very few apparently as these picture show, one reluctant toddler insisted I dress & be like a unicorn while she took some pictures before she would have a turn in front of the camera. Sounds pretty fair to me. She didn’t do a bad job of the photos either! Very few apparently . . . as these picture show! 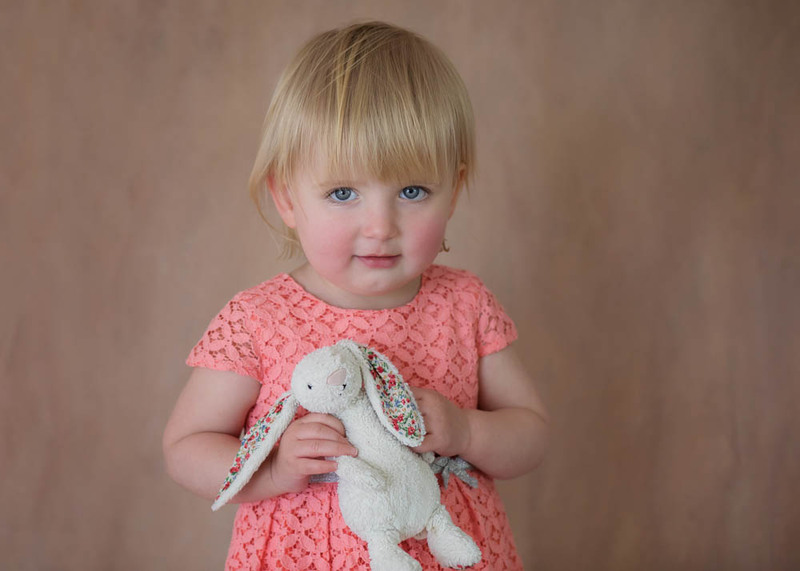 The toddler at this session was relucent to be photographed, not uncommon. 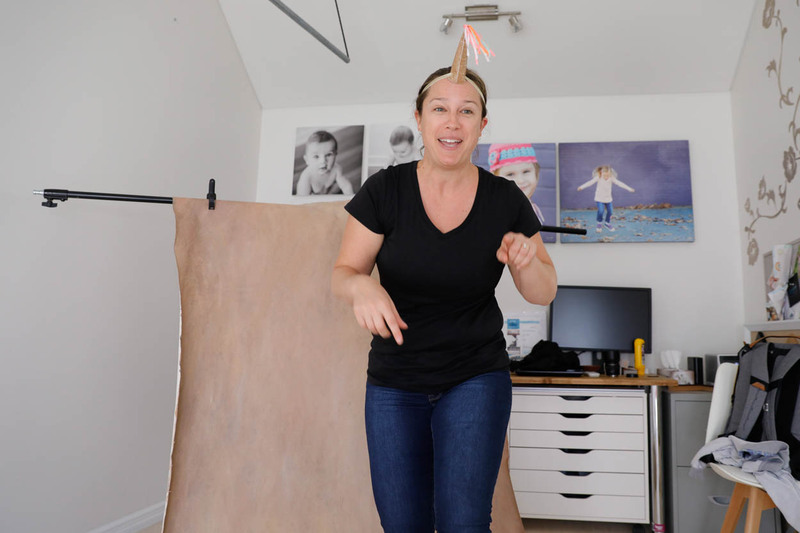 She insisted I dress & be like a unicorn while she took some pictures of me before she would have a turn in front of the camera. Sounds pretty fair to me. She didn’t do a bad job of the photos either! 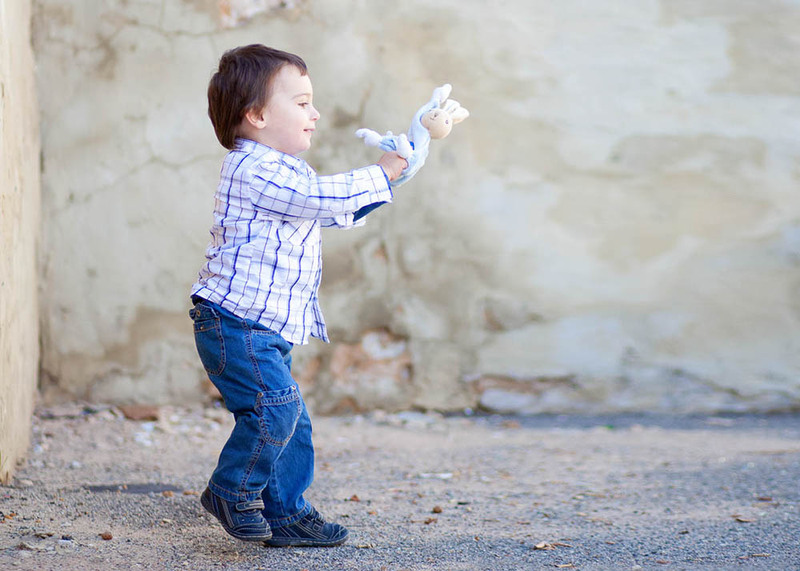 My favourite toddler photo idea is to include their special toy! Since my little guy was around 5 months old, he’s been attached to his bunny. Bunny is so important that at one time we had 3 bunnies, just in case one was lost. We even made sure they were all used on rotation so the wear and tear was even between them all! He won’t sleep with out bunny and would pretty much take him everywhere if we didn’t ban bunny from leaving the house – there was a traumatic supermarket visit, where bunny 3 went missing, and frankly, we’re all still scarred! But I digress, rather than fight your toddlers need to have their favourite toy around. Work with it, I love the images of my boy when he was a toddler with bunny, he was and is such a big part of our household that he deserves to be photographed too. We are photographing our families memories and these toys are one of the biggest childhood memories. As a bonus, your toddler will be more relaxed, a touch more coorporative and often just a tiny bit still for a few moments. And your toddler obligingly stands there and gives you the most beatific smile to boot . . .
Ha ha ha ha – ermm, nope. They will most like turn around, run away, look at their feet, cry, frown, cling to your leg or Mum’s leg . . . anything but look a the camera. Now let’s stand on this magic spot (a leaf, a mark in the path, anything) and I’m going to count to three and then let’s see how high you can jump, I bet you’re pretty good at jumping, you look like you’re a super star jumper.! Now are you ready? Make it a game. Play with them. Okay, so toddlers are busy. Very very busy. You’re not going to get them standing still for very long no matter how amazing the game is. 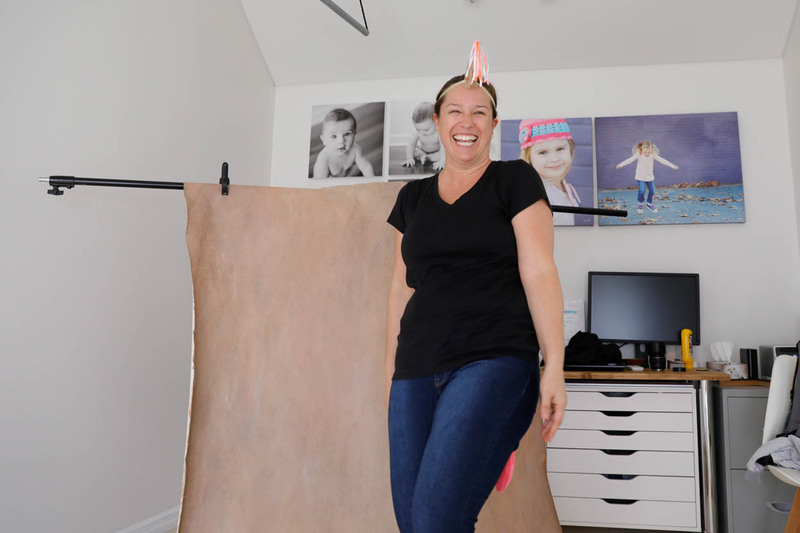 And photographing toddlers on the move and being busy is a great idea, but sometimes we want that gorgeous headshot with the sweet smile to go along with the “action” shot. How do you get them to pause? 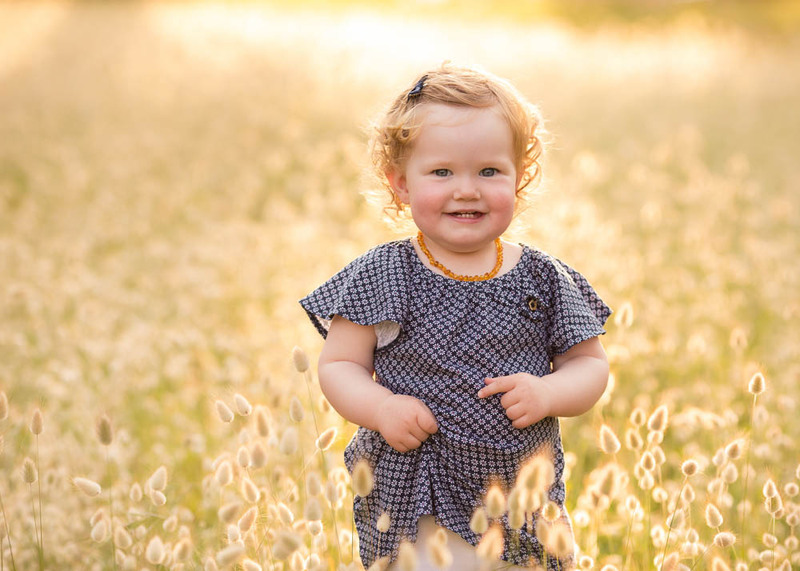 It might sound odd, but if you can get their feet off the ground then you’ll almost always have a small window to photograph a gorgeous toddler portrait. Sit on a chair, stand on a log or bench, maybe you have a ride on toy that you can crop out of the frame . . . be inventive and look for a safe place to temporarily imprison your toddler 😉 I joke, but really – it works! That leads me perfectly into my final tip for photographing toddlers. Be prepared! Have your camera ready to go. Don’t fluff around with settings. Don’t realise you should have moved the wash basket from the shot. You almost never get a do-over with toddler photography. Make sure the light is good, your exposure is right, check for clutter and then get the toddler in the shot. The more confident you get with photography the quicker you’ll get at being ready and the more shots you’ll be able to capture. These 5 Tips for photographing your toddler should help you get that winning shot without losing your cool. Which one do you think will help you the most?